Asthma is a chronic lung disease. The air passages of the patient tend to inflame and thus result in the narrowing of the airways that carry oxygen. Common symptoms of asthma include- frequently wheezing, i.e. a whistling sound when you breathe, tightening of chest and shortness of breath. The symptoms of asthma sometimes flare up, due to which, external medication may be necessary. Patients who suffer from asthma also have certain allergies, which usually act as triggers. These allergens are- dust mites, dander of animals, molds and pollen as well as cockroach droppings. People suffering from asthma should never smoke. However, a person smoking around asthma patients is not desirable either, because tobacco smoke aggravates asthma. Air pollution, odorous fumes, smog also have similar effects. It is common for asthma patients to develop asthma symptoms while playing a sport that requires physical exertion or exercising. The condition is commonly known as exercise-induced bronchoconstriction (EIB). OTC medicine and other prescribed medicines for condition such as heart problems, migraine and glaucoma can cause an asthma attack. Some examples of the medicines are- aspirin and ibuprofen as well as beta blockers. Anxiety, panic and stress can aggravate the symptoms and often cause chronic attacks among asthma patients. Common cold, sinus infections and flu are some viral and bacterial infections that can trigger asthma. Exposure to cold, extremely dry air and changes in weather can lead to asthma attacks too. Acid reflux and heartburn can increase the severity of the condition. 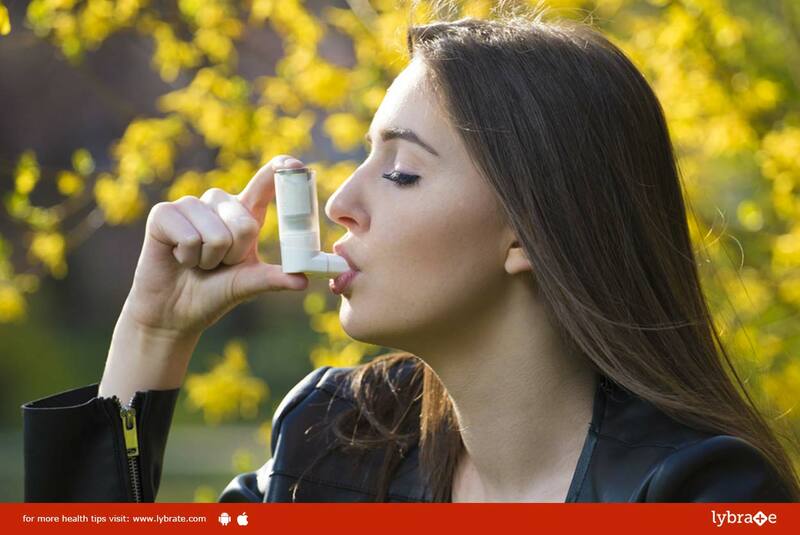 How To Avoid Asthma Triggers? You should consult an allergist and identify your allergies. Thereafter, limit your exposure to these allergens. Do not overwork yourself; take rest, exercise regularly and maintain a healthy diet. A healthy lifestyle will help you control this condition. Avoid taking external medication on a large scale. Consult a specialized doctor and find out if these medicines have any side effects that will aggravate your asthma. There are medicines to control asthma. Inhaled corticosteroids and leukotriene modifiers help in limiting the inflammation that occurs in the airways of most patients who have asthma. Allergists or doctors may guide you as to which medicine is the most suitable.